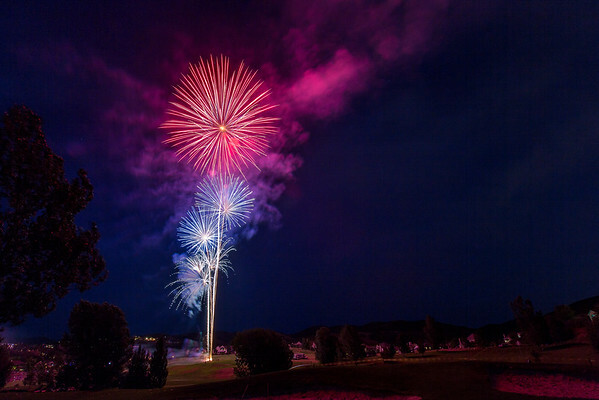 The Bountiful Days of '47 parade is an annual favorite, celebrating the town's pioneer heritage a few weeks after the 4th of July. 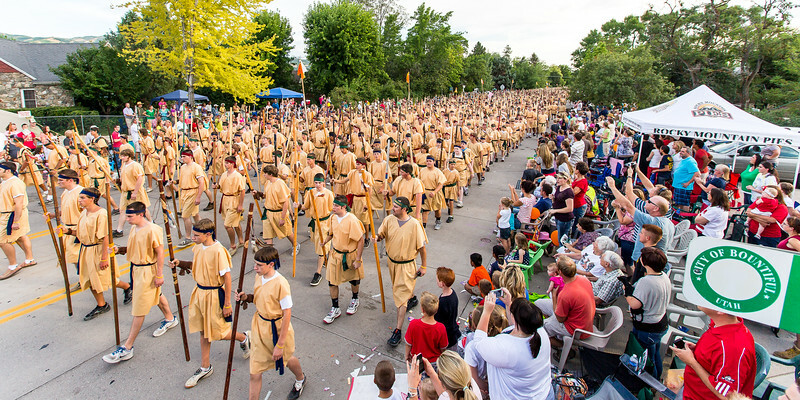 In the summer of 2012, the parade's final entry was a re-creation of a story from the Book of Mormon, documenting the military service of 2,000 stripling warriors. For anyone who has felt that parades have swung too far towards local businesses throwing taffy to greedy kids in recent years, the march was a welcome change of pace. To get this shot, I convinced one of the public address announcers to let me climb up on his scaffold, where I could get a better angle on the moment. 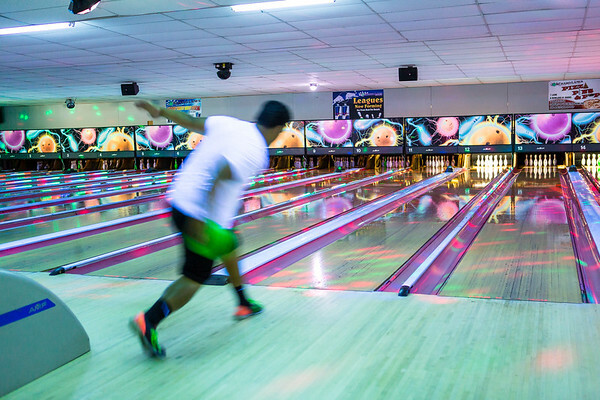 I've never been what you would call a "regular" bowler, but it still saddened me to hear that Orchard Lanes in North Salt Lake was going to close up shop in 2017. 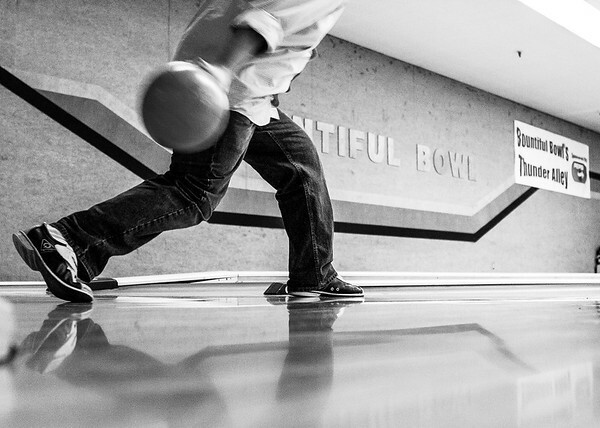 I took my very first date there, and my band played a pair of sets at the Rock 'n Bowl series in 2013. So it was a bittersweet experience to go down on their last day in business to take a few last shots for posterity. 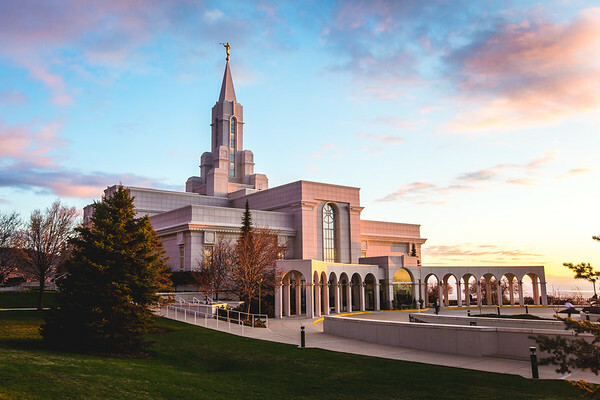 For all the times I've photographed the Bountiful Temple, most of them focused on a glowing, lit structure against a dark, post-sunset sky. I've always kind of liked this one though, letting the fading sunlight play on the building without leaning on artificial lighting. The first time I ever played in an LDS church basketball league, I scored every one of my team's points...in a game we lost 72-4. The night I caught this picture, I also scored four points, and was just grateful I could still get the ball in the hoop. 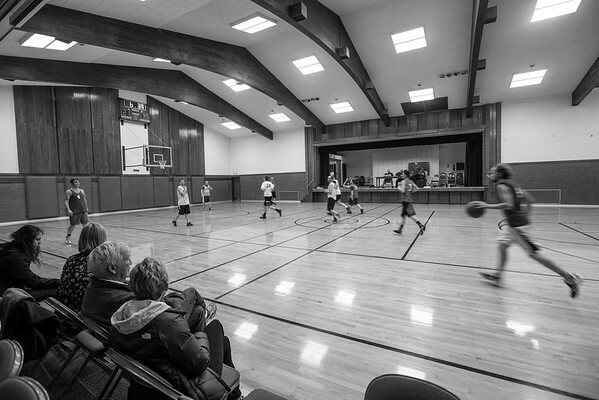 I've played games in dozens of buildings over the years, but I logged more mileage by far on the court pictured here, in the Bountiful North Stake Center off 400 East. 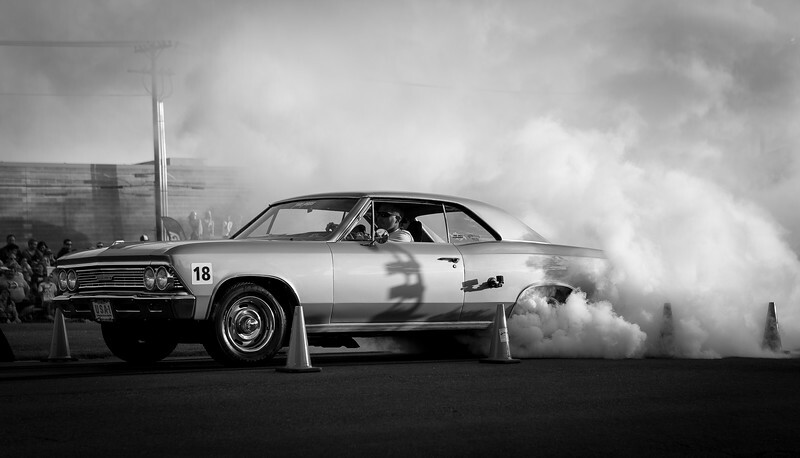 Classic cars are as popular in Bountiful as they are in most any town across America. I got this shot of a personal favorite at the annual rally held over at Bountiful Park every June. 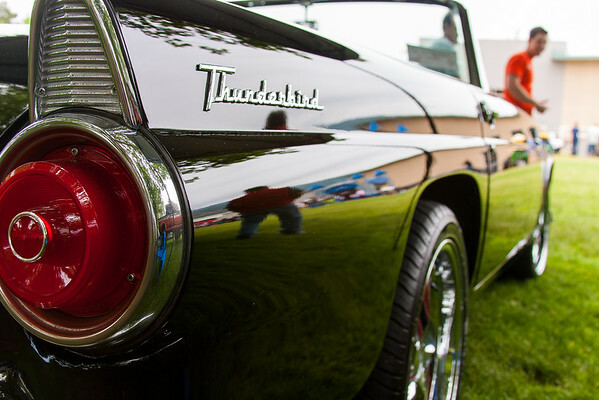 The car shows were always a fun activity to attend with my dad (seen here in a red down vest, reflected in the car by the tail light). 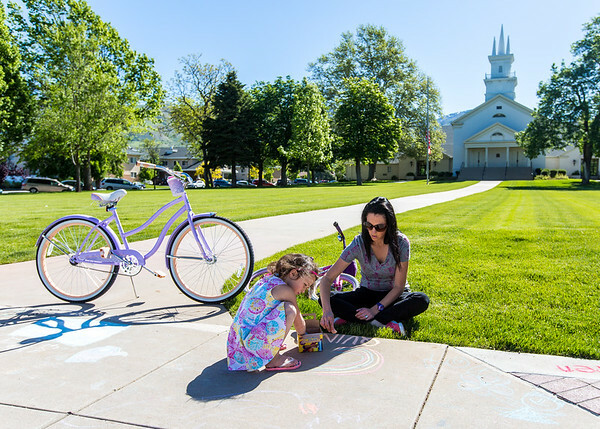 Pretty much anywhere you go along the Wasatch Front, you're going to find business that cater specifically to an LDS audience. Bountiful is no different. Though major players like Deseret Book and Mr. Mac have dominated the market for publishing and menswear (the LDS missionary demand for men's suits even led to a region-specific ad from Men's Wearhouse), there are plenty of smaller businesses, like this one on Main Street, that try to target their wares. 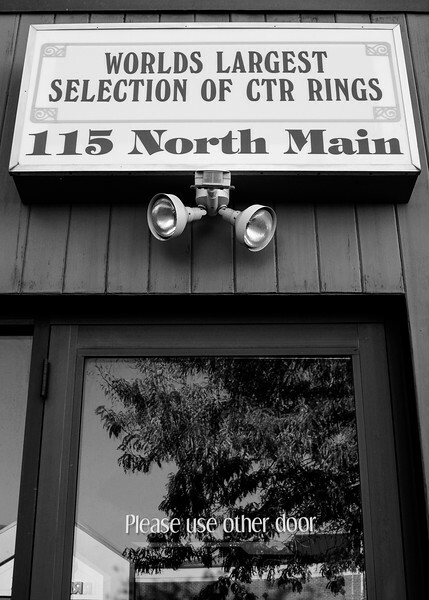 It's hard to think of a business that is still standing along 500 south that has been there since my childhood, and it's getting harder to remember which ones have come and gone. 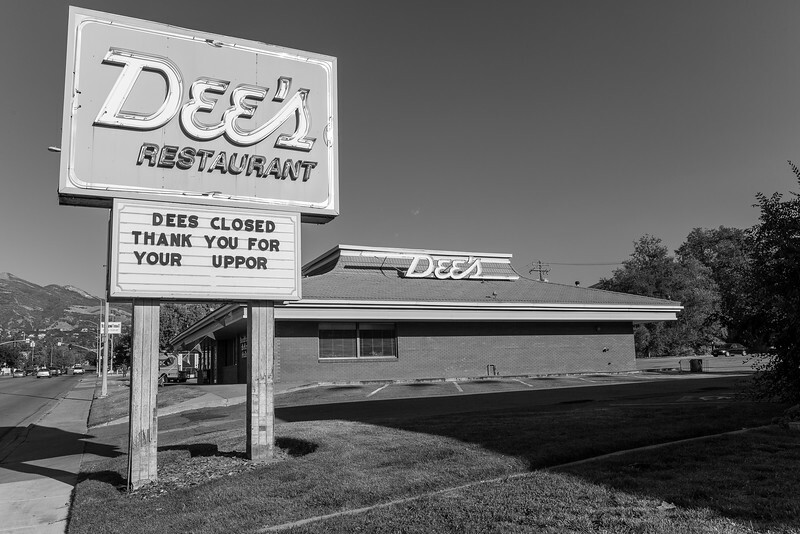 This Dee's Family Restaurant closed in the summer of 2014, and was demolished a year later. I can't say much for the food, but I'll always remember it fondly as the place my longtime friend Brian chugged a bottle of Tabasco sauce on a $5 bet from our waiter. If I had taken this shot a few years later, I might have tried to set up some kind of composition that included a motion blur from a passing car or a nearby pedestrian. 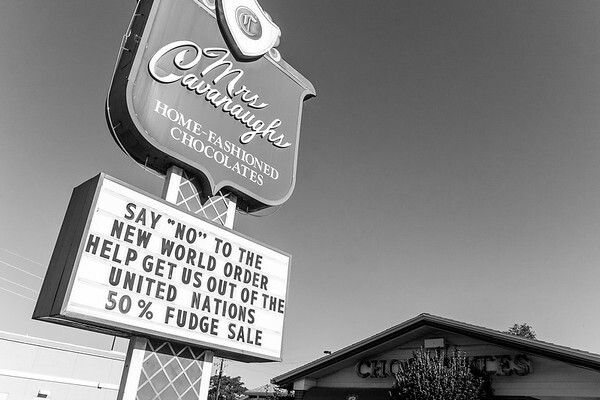 But in a way, I wonder if the bland simplicity of the shot lets you just focus on the quirky juxtaposition of a local chocolate maker voicing its political stances. At any rate, these kinds of messages don't pop up on the Cavanaughs sign anymore, so this one will have to do. One night on the way home from a YSA activity, a friend and I parked in my driveway and spent a half-hour listing off all the businesses that had come and gone along 500 South in Bountiful in our relatively short lifetimes. I only wish I had started taking pictures as a toddler, so I could have documented spots like Lee's Cafe and Hardee's before they vanished into the developmental ether. 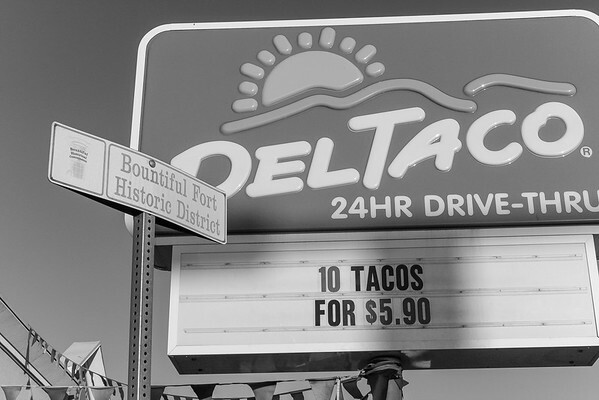 It's this kind of ebb and flow that led to the odd juxtaposition I framed here, and in fairness, I've spent more time than I'd like to admit patronizing the Del Taco on the "historic" corner of 200 West and 500 South. Visiting the far north end of the Bountiful Cemetery is always a bittersweet experience. 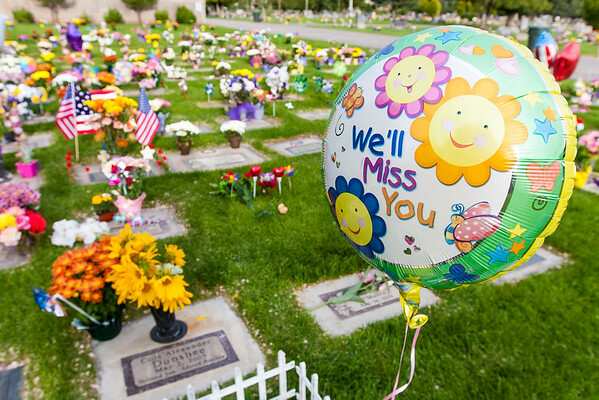 The graves always have twice as many decorations as any other spot on the property, and the balloons and pinwheels and decorative toys always have a special life to them. Of course, knowing that these decorations have been set out for young children who have passed years before adulthood puts a somber tone on things. On Christmas night 2015, my family was visiting my dad's grave nearby when a man asked us for some help jump starting his car. I'd noticed that he and his family had been visiting one of the graves in the children's section, and it was heartbreaking to think of the insult added to his injury. Luckily we got them started and on their way. As I first began to cultivate my interest in photography, I made a point of seeking out interesting imagery in everyday situations. Rather than add to the sprawling portfolios of national park images, I'd find the beauty, or at least the meaning, in overlooked locations. 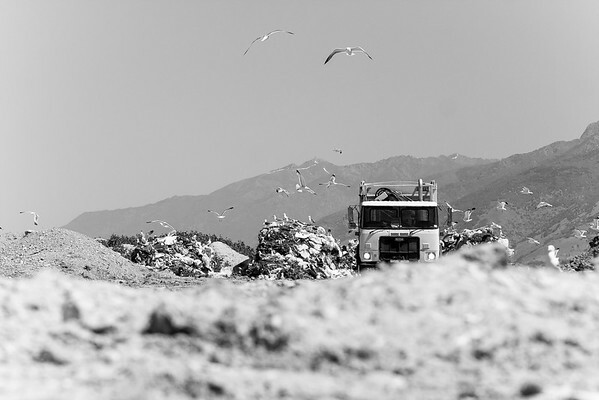 Hence my afternoon visit to the West Bountiful Landfill, where Utah's state bird roams free among piles and piles of Davis County's refuse.